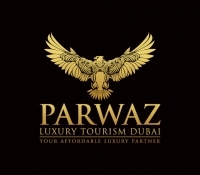 About (Profile) Parwaz Luxury Tourism is a licensed Tourism company located at the heart of Dubai and registered in Dubai Department of Tourism and Commerce Marketing. Specialized in bookings for Incentive clients, Leisure groups, FIT and MICE. We do complete packages, tailored and personalized travel plans for your guests to make their holiday run smoothly from hotel accommodation, excursions, sightseeing, visas and transfers. We are a Luxury Travel Expert beginning from your home, to the most dream destination that you want in United Arab Emirates, making your dream vacation a reality with AFFORDABLE LUXURY. Listing all jobs offered by Parwaz Luxury Tourism LLC !